(1872-1945) A painter, etcher, muralist, and sculptor, Gottardo Piazzoni was a highly prominent, active figure in the Northern California art world in the early 20th Century. Piazzoni was a teacher at the California School of Fine Art in San Francisco from 1919 to 1935, and established in that city the Piazzoni Atelier d'Art on Sacramento Street. One of his major public accomplishments was the painting of fourteen large murals on the grand staircase of the downtown San Francisco Public Library. Completed in 1932, five of them depicted the "sea", and five the "land". He was born in Intragna, Switzerland to Swiss-Italian parents and from 1891 to 1893, he took art studies at the San Francisco School of Design under Arthur Mathews and Raymond Yelland, and won a Gold Medal for drawing. In San Francisco, he shared a studio for ten years with Arthur Putnam and was a member of numerous organizations including the Bohemian Club and the San Francisco Society of Etchers. His first major solo exhibition was in April 1905 at the Mechanics Institute Pavilion, and he made enough money to return to Europe, this time with his bride, Beatrice Del Mue, and Arthur Putnam and his wife. The couples traveled for the next two years through Italy, France, and Switzerland. 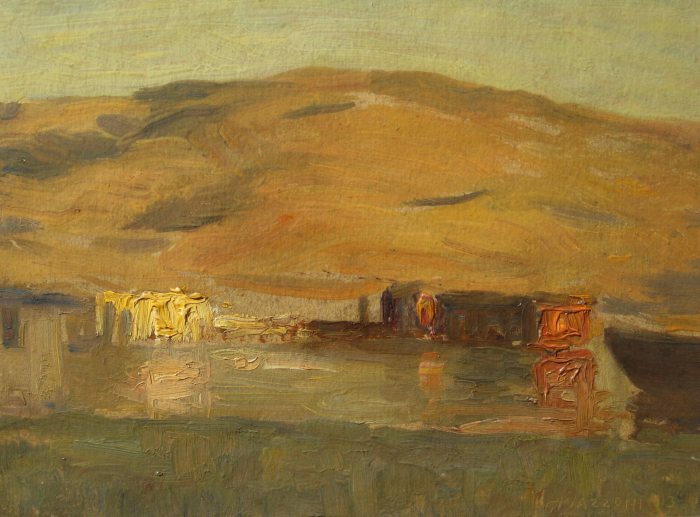 In 1907, the Piazzoni's returned to San Francisco to deal with his studio that had been destroyed by fire. 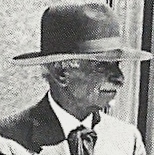 Piazzoni died at his home in Carmel Valley, and in 1959, the California Historical Society held a retrospective of his work.